Turning the classic animated Disney films of yore into live-action films is Hollywood’s latest trend. Not only is Kenneth Branagh’s blindingly bright take on Cinderella due in cinemas this weekend, but Bill Condon is directing a Beauty and the Beast movie, and just a few days ago it was also announced that Tim Burton plans on making a live-action Dumbo remake too. Of course, one could say this is all Angelina Jolie’s fault. Maleficent, the re-imagining of Sleeping Beauty from the perspective of its antagonist, was a massive success last year, taking in $758.4 million at the box office, and that just gave Disney all the permission in the world to continue putting out incarnations of their other iconic tales. But while Cinderella , Beauty and the Beast and Dumbo are a good start, which other animated films deserve to go live action? We have a few ideas. 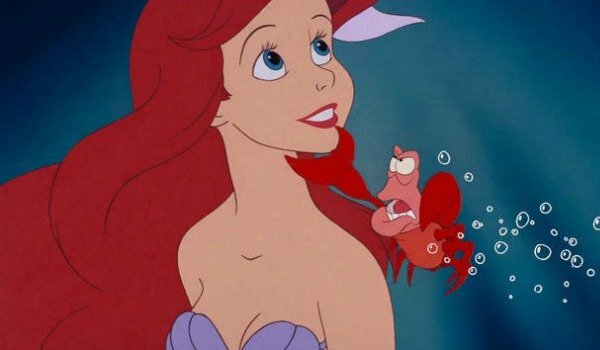 Why It Needs An Upgrade: Released over 25 years ago now, The Little Mermaid continues to hold a dear place in the heart of anyone who saw it in their infancy. However, in the time since its release, it has lost the edge that it once had thanks to the funnier animated gems that have since been released (I’m looking at you Aladdin), while even those who are angling for a nautical kids film to watch will now head straight for Finding Nemo before even considering Ariel and her gang of under-water adventurers. Plus with Aquaman due out in 2018 there’s clearly an opportunity to tap into the box office potential that comes with water-based blockbusters. Who Should Star: For the role of Ariel, I would have to say that the top candidate for the part would have to be Karen Gillan. Does she have red hair? Check. Is she delightfully pretty? Double check. Does she have a tail instead of feet? Er …. Never mind that, because Gillan would be perfect as the Princess pining to evolve. She has proved with her supporting role in Doctor Who as Amy Pond that she can be free-spirited and act independently and instinctively regardless of what she’s told, while Guardians Of The Galaxy proved that she can look right at home in a blockbuster too. She’s just waiting for the right leading role to propel her further up the Hollywood echelon. Plus, being Scottish she already sounds like she’s got half a gallon of water in her mouth when she speaks anyway. Why It Needs An Upgrade: Listen, we all know that it’s going to happen anyway, so what’s the point in waiting any longer? 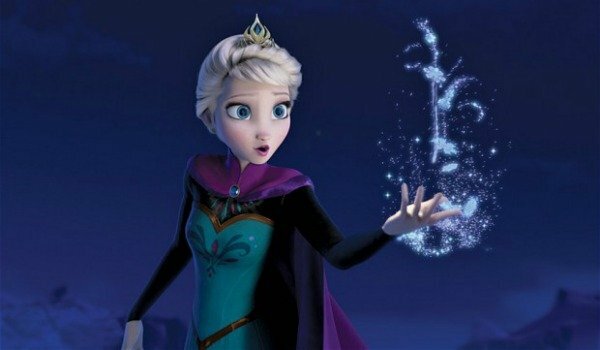 Frozen’s nauseatingly powerful success at the box office 18 months ago means that Elsa, Anna, Olaf and the other, more forgettable minor characters will be repeatedly returning to pop culture for decades to come. A Broadway show is already planned, a new short is attached to screenings of Cinderella, and just earlier today it was officially announced that we will soon be seeing a Frozen 2. I say, let Disney go full hog and just release a live-action version of it at the same time. Then they’d really be taking the piss. I don’t even want it to be big-budgeted. In fact I’d prefer if it was made on a shoe-string budget, with fake snow and wooden back-drops that repeatedly fall-over. It’ll probably still make a $1 billion no matter what anyway. Who Should Star: Why mess with a winning formula? Kristen Bell can return as Anna, Idina Menzel can be Elsa, Jonathan Groff as Kristoff, and Josh Gad will obviously portray Olaf - he can just have cotton wool glued to his skin and wear a carrot over his nose. And as a bonus, after humiliating Menzel at the 2014 Oscars and then plain old creeping everyone out at this year's, John Travolta can play the roles of Sven, the Troll King, Marshmallow, and Oaken. 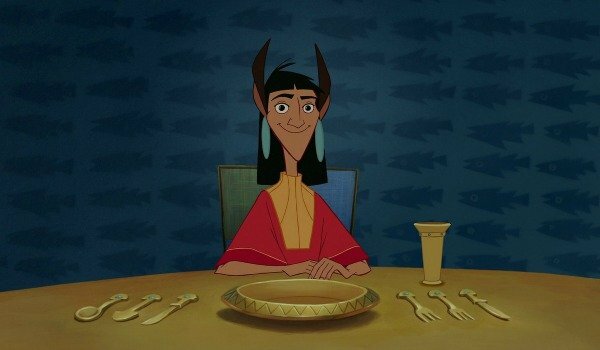 Why It Needs An Upgrade: The Emperor’s New Groove is an underrated Disney gem that doesn’t get the recognition it deserves because it was released during a bleak period for the studio. There’s no denying the fact that its script already possesses the laughs and heart that will be required to resonate with today’s moviegoers, and its exotic South American-esque location would also lend itself perfectly to live-action too. Rather than a full-on upgrade, The Emperor’s New Groove would just need some tweaks and adjustments. Who Should Star: While never being overwhelmingly annoying on screen, Dave Franco clearly has the ability to play brash, vain and cocky, while still coming off as loveable. These are all elements that suggest that he would be a great pick to play Emperor Kuzco. The fact that Franco shares many of the same facial mannerisms as the dim-witted ruler of the Incan Empire also suggests that he’d be perfect. Not sure who we’d get to play him as the llama though. Surely his older sibling James could help out? John Goodman would obviously have to come back and reprise his role as Pacha. Why It Needs An Upgrade: Disney’s second animated feature film was released all the way back in 1940, which means that 2015 marks its 75th anniversary. And while I may have mentioned before that Hollywood’s not a place for sentimentality it is a place where they exploit anniversaries for dough. 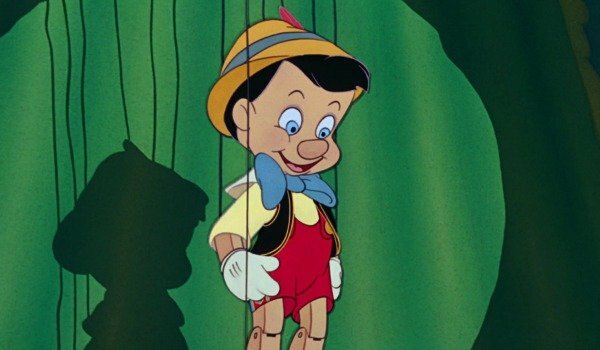 It would make perfect sense for Disney to announce Pinocchio a live-action treatment to celebrate its 75th birthday (though obviously the movie wouldn’t come out until later). Plus, the film’s cast-iron reputation as a stone-cold classic means that people would be instantly interested. Who Should Star: If I had to pick a lineup, it would be Ty Simpkins as Pinocchio, Hal Holbrook as Gepetto, and Bobby Cannavale as Jiminy Cricket – and this one was pretty much a no-brainer. Despite just being 13, Simpkins is already on the way to mega-stardom after going toe-to-toe with Robert Downey Jr. in Iron Man 3, and his stock is only set to rise after his appearance in this summer's Jurassic World. Meanwhile Hal Holbrook looks just like Gepetto and has a tremendous legacy behind him, and Bobby Cannavale has got an east-coast twang and ragamuffin persona that would lend itself seamlessly to the character of Pinocchio’s conscience. 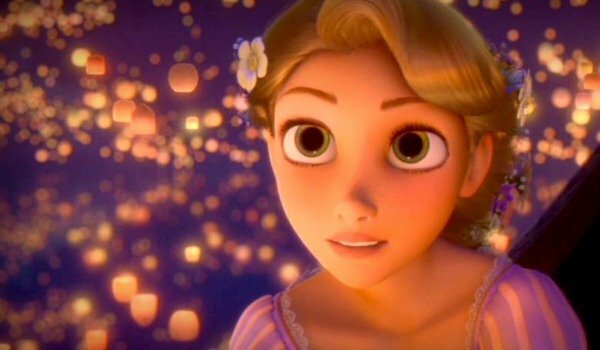 Why It Needs An Update: Released in 2010, Tangled helped to set Walt Disney Animation back on the straight and narrow after several years of misses. Loosely based on the legendary fairy tale Rapunzel , there is plenty of scope to the story that could be perfectly taking advantage of by live-action - especially since Rapunzel/Tangled is one of the purest and most heartfelt love stories ever-created. Unfortunately, despite its many plus points, Tangled failed to truly pull at moviegoers heart-strings because the animation genre did its part to block the chemistry between Rapunzel and Flynn Rider from becoming too potent. If they can cast the right leads, then a live-action remake of Tangled could right this wrong. Who Should Star: The 24-year-old Australian actress Margot Robbie is well on her way to becoming the hottest property in Tinseltown, and would potentially be a great fit for the role of Rapunzel. The Wolf Of Wall Street actrees proved how conniving, heartless yet still thoroughly appealing she can be, while Focus showcased many of the same traits but allowed her to be both strong and vulnerable too. Delightfully blonde and so beautiful it’s almost painful, Robbie is the only logical choice, and any male actor chosen to star alongside her would see their performance elevated. 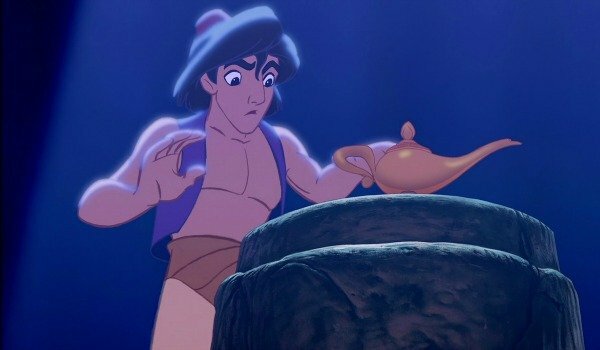 Why It Needs An Upgrade: Does Aladdin really need an upgrade? Probably not. It’s luscious visuals are still hypnotic, while Robin William’s barn-storming performance as the genie is not only one of the greatest animated vocal portrayals in the history of cinema, but it also brought a whole new level to the voice acting profession, and opened the gates up for the likes of Tom Hanks, Mike Myers, and Chris Rock to follow. Still, Hollywood’s never been one for sentimentality, and Aladdin’s evergreen popularity means that if a live-action film was ordered the anticipation would be instantly fervent. Who Should Star: Forget the roles of Aladdin and Princess Jasmine - they can be portrayed either by good-looking unknowns or the most alluring flavor of the month young actors available. The role that really needs to be cast perfectly is The Genie. And while there is nobody out there who could top Robin Williams, Kevin Hart has a passion, energy and quick wit that is comparable to the legendary comic, and he would also be able to ensconce his own personality around the character too. Why It Needs An Update: Disney’s 34th animated feature, released in 1996, was far from a flop, but it isn’t cherished in quite the same manner as many of its comrades. A live-action version could change all that. But rather than looking to mold Disney’s lightness with live-action (like Cinderella has), it should follow Malificent’s example and embrace the dark, more edgier approach. 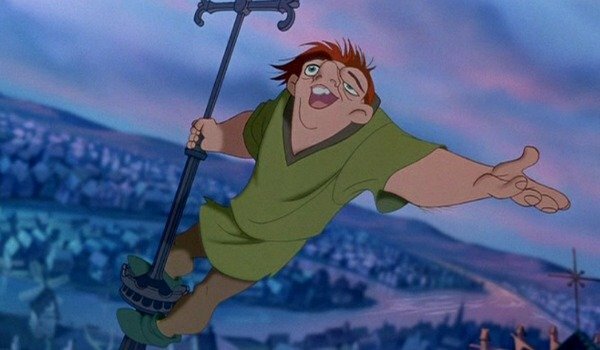 You could make Quasimodo hideously deformed, and much more vengeful of Esmeralda and Phoebus’ love - or you could even probe further back into Quasimodo’s youth and what made him so isolated. Who Should Star: Bradley Cooper is one of the best looking actors to have ever graced the big-screen, and I’d even go as far as to say he’s sickeningly handsome. However, over the winter he wowed Broadway audiences with his portrayal of John Merrick in The Elephant Man to such an extent that he will now play him on the West End too. And the way he’s shocked and stunned audiences has been all through his facial movements. Now let’s see if he can transfer that to cinema by offering him the chance to portray Quazimodo, the tragic lead at the center of this classic story. Why It Needs An Update: Possessing sun, sand, sea and aliens, Lilo & Stich was a rare success for Disney in the early ‘00s. It was also packed with sass, charm, was gloriously funny, wrapped in emotion, and was even a tad groovy too. 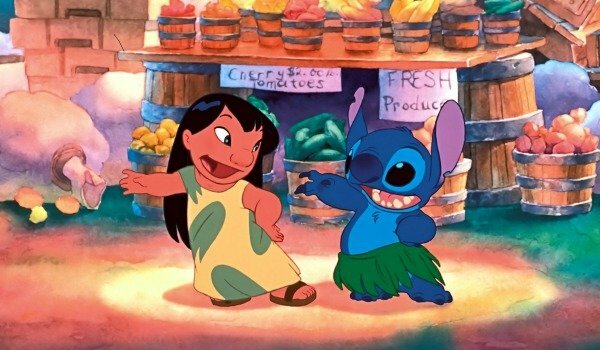 But you never truly got a sense of either Hawaii or the crumbling family dynamic at its heart, plus a live-action version of Stitch could be both truly terrifying and adorable at the same time. What I’m thinking is The Descendants meets Gremlins, just without the horror-aspect of the latter. Obviously I wouldn’t even consider touching the film’s Elvis Presley soundtrack. In fact, I’d actively encourage more songs from The King. Who Should Star: For this one, I’m thinking that the part of Lilo should be taken by an unknown Polynesian actress, whose presence would make audiences feel the sand from the Hawaiian beaches beneath their feet. However, for Stitch, there’s only one man for the job. Saturday Night Live alumni Bill Hader. I imagine that Hader would deploy sound effects and a voice performance along the same lines of the impressions he performed on Conan O’Brien last year in the film. And if he did just that he would then take his place alongside such cinematic luminaries as Michael Winslow in all seven Police Academy movies. Who Should Star: As anyone who has watched plenty of movies knows, killing any animal, especially a cat, means that you’re a baddy. 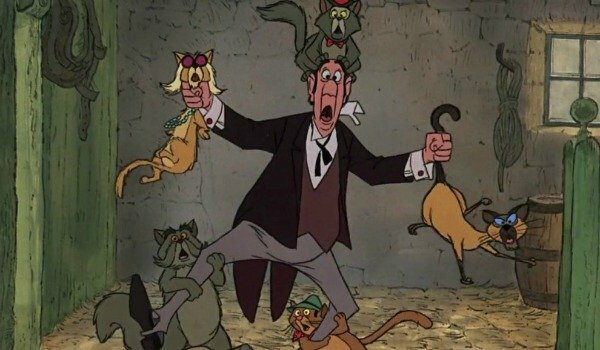 So the fact that Edgar Balthazar tried to murder a mother and her three kittens proves just how evil he is. And not only does Sir Ben Kingsley physically resemble Edgar, but it’s also been a while since he’s played a truly repugnant villain that he’s been able to truly sink his teeth into. Thus, it makes perfect sense. 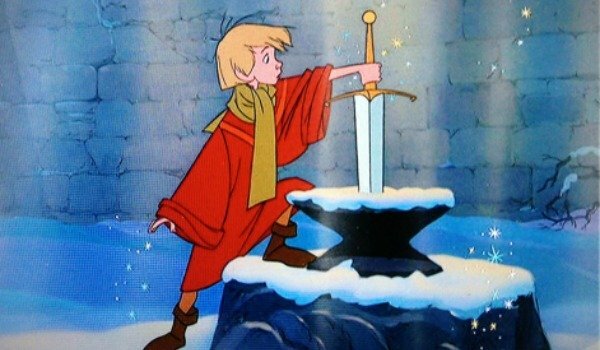 Why It Needs An Update: Let’s face it, The Sword And The Stone basically needs a remake because it’s crap. I’m sorry but it’s true. Despite possessing songs that were written by the iconic composers the Sherman Brothers, its flimsy plot is at first non-existent, and then just fades into obscurity. However, this could easily be corrected in its live-action version, while its blending of over-the-top characters and fantasy elements, against a more rigid take on the mythical King Arthur narrative, would make it unique. As long as all of the characters have English accents that is, because the fact that the original The Sword And The Stone’s Arthur sounds like he’s from Brooklyn is on of the most ridiculous oversights in movie history. Who Should Star:Nerdy, weak, but always willing to give it his best shot while also avoiding physical confrontation, Michael Cera would make for a perfect mid-20s version of Arthur in a direct adaptation of the animated The Sword and the Stone. Heck, even his Year One co-star Jack Black could portray Merlin! They can both do English accents, right?